TeachPassiv.com are please to announce the imminent release of a new Passivhaus App for Apple iOS and Android. 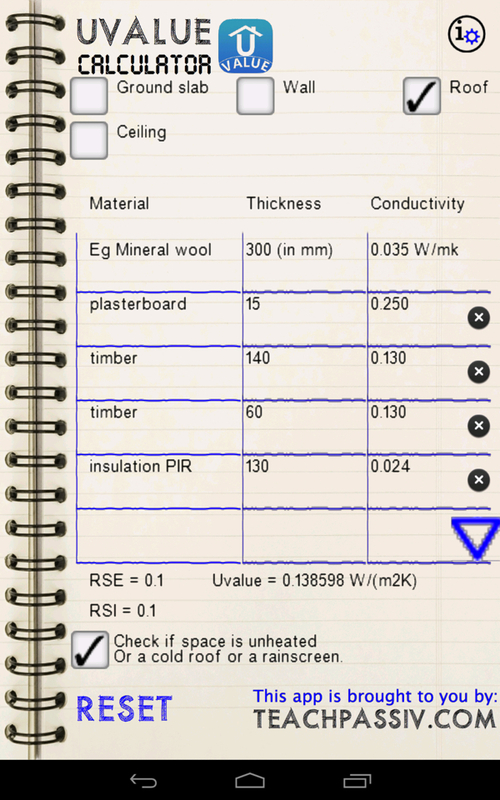 The app is a U-value calculator using the Passivhaus methodology; it has been carefully written to ensure that the surface resistance values are in accordance with EN ISO 6946 for all conditions and can also take into account constructions below ground, unheated spaces and compensation for rain screen constructions. Or alternatively CLICK HERE to download the Passive House Tradesperson Fact sheet.